Before Dana Canedy got down to the business of announcing the winners of this year's Pulitzer Prizes, the administrator offered an unusual aside. "I want to break with tradition and offer my sincere admiration for an entry that did not win, but that should give us all hope for the future of journalism in this great democracy," Canedy told the journalists assembled at Columbia University in New York City. The entry was from the Eagle Eye, the student newspaper at Marjory Stoneman Douglas High School in Parkland, Fla., where a gunman killed 17 people last year. There, in the aftermath of the violence, the student journalists had to grapple with their immense grief in crafting 17 obituaries for slain friends and coaches. "These budding journalists remind us of the media's unwavering commitment to bearing witness even in the most wrenching of circumstances, in service to a nation whose very existence depends on a free and dedicated press," Canedy explained. "There is hope in their example even as security threats to journalists are greater than ever and there is hope even if some wrongly degrade the media as the enemy of the very democracy it serves." The staff of the Eagle Eye didn't win a Pulitzer. 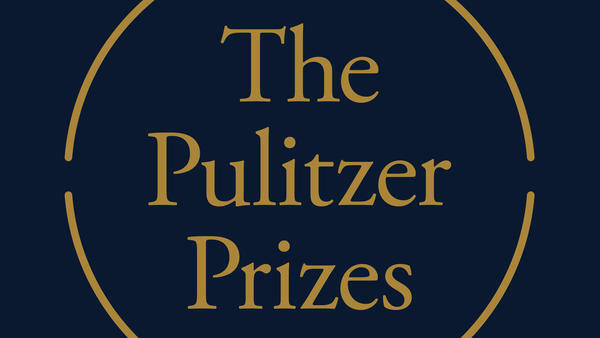 But it did set the tone for the crop of Pulitzer Prize winners to come, many of whom faced down threats — both verbal and physical — in an increasingly fraught environment for the media in the U.S. and abroad. The South Florida Sun-Sentinel won the Pulitzer Prize for public service, the only prize out of the 21 official categories to include a gold medal with the usual purse of $15,000 in winnings. The 18-member Pulitzer Prize Board, which typically makes the final call on winners, applauded the paper "for exposing failings by school and law enforcement officials before and after" last year's shooting in Parkland. Pulitzer judges also recognized the entire staff of Reuters, including journalists Wa Lone and Kyaw Soe Oo, who are serving multi-year prison sentences in Myanmar for their reporting on the country's brutal crackdown on Rohingya Muslims. Reuters split the international reporting prize with Maggie Michael, Maad al-Zikry and Nariman El-Mofty of the Associated Press, who "exposed the tragic effects of the war in Yemen." Canedy deviated from the usual plan in order to honor another newsroom: the journalists at the Capital Gazette in Annapolis, Md., who saw five of their colleagues killed in a gunman's attack on their office last year. The paper earned a special citation for their "courageous response" to the horrific assault, and "for demonstrating unflagging commitment to covering the news and serving their community at a time of unspeakable grief." Along with the citation comes a $100,000 bequest, intended to "further the newspaper's journalistic mission." Not all of the afternoon's remarks centered on such violence, however. Journalists at The New York Times and The Wall Street Journal won prizes for their work reporting on President Trump, and the staff of The Advocate in Baton Rouge, La., earned recognition for its "damning portrayal of the state's discriminatory conviction system." For all the focus on journalism, about a third of the prizes doled out Monday went to scholars, artists and authors — including Richard Powers, whose novel The Overstory earned the prolific writer a Pulitzer to go along with the 2006 National Book Award already on his mantel. The board added a second special citation, as well — this one posthumously awarded to Aretha Frankin "for her indelible contribution to American music and culture for more than five decades." This year's winners beat out a vast field of entries, which often number more than 2,500 each year, according to prize administrators. It takes more than 100 judges to shave that snowdrift of submissions down to something manageable for the board, which typically then picks the final winners by majority vote. 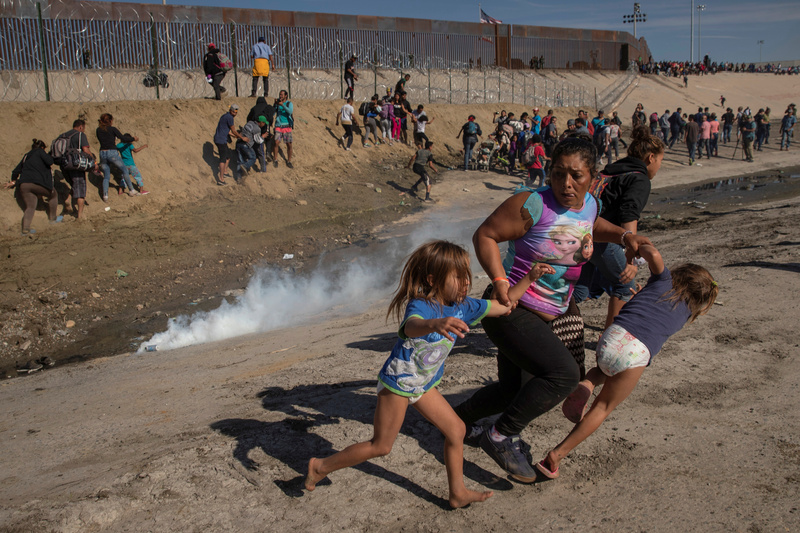 Reuters won the Pulitzer for breaking news photography for this series of images, which documented Central American migrants' desperate journey to the U.S.
Local Reporting: The staff of The Advocate, Baton Rouge, La.